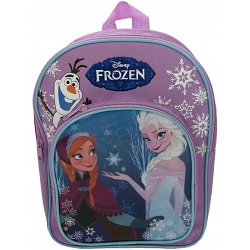 Disney Frozen Backpack - The number one wished for backpack by children this Christmas 2014. 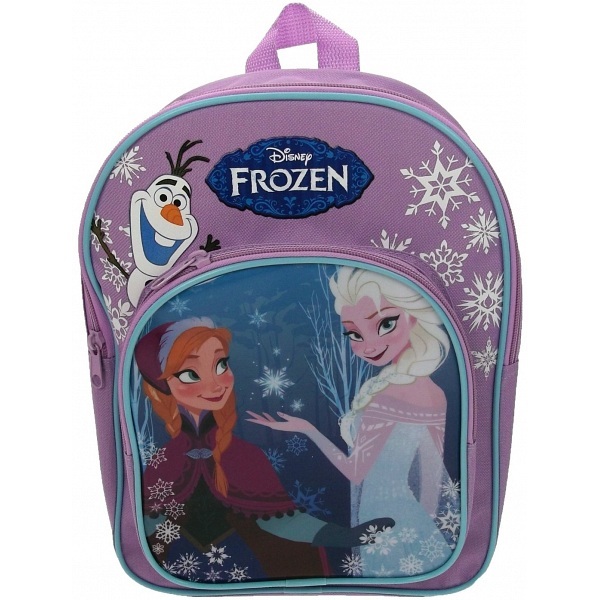 This wonderful Back pack comes in the long awaited Disney Frozen theme, purple in colour with pale blue accents this is a must have for the winter disney fan. It is decorated with three of the wonderful characters from the disney Frozen movie. It has padded straps for comfort when carrying and a hanging hook for when not in use or your childs school peg. It is zip fwastening for easy access and has a front pocket for those small bits. The ideal gift for Christmas. Top handle for hanging when not in use.